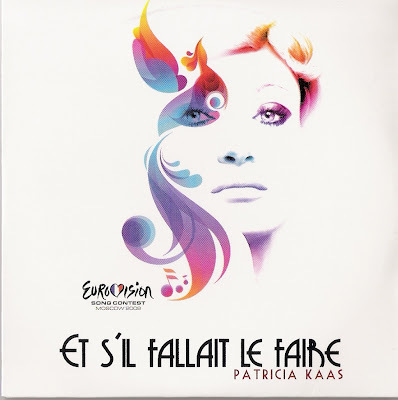 8 - 107 pts, not in semi Chanteuse Extraordinaire Patricia Kaas took France back into the top 10 with the song Et S'il Fallait Le Faire. The song was first released on her 2008 CD Kabaret. A new version is recorded/edited for Eurovision. 1-track promo's are issued in different sleeves. A 2-track commercial cdsingle (pic below) with the Eurovision version and another track Une Dernière Fois. is released by Mercury / Universal music France. Two further promo's exist, both have the original album version and were issued before Eurovision. There's also a one track promo from Poland. A third version of the song is released on the special edition of Kabaret: Kabaret En Studio Et Sur Scene includes a bonus live disc featuring songs recorded at her world tour, one being the Eurovision entry. The regular Russian edition of Kabaret has a bonus track Mne Nravitsya (in Russian). new: A special Russian edition has 4 bonus tracks and a DVD with 5 videos including Et S'Il Fallait Le Faire and a documentary about Patricia's Kaas' Russian tour. German edition (Sony) has bonus track September Song (in English) and two tracks in a German version: Wo Sind Die Clowns und Glück Kennt Nur Minuten. A limited edition from Germany exclusively sold in Karstadt shops has 14 tracks . Another bonus track Hard Work is only available through Amazon and some digital releases. I'm not 100% up to date with all tracklist variations as some issues have hidden tracks. In Canada Kabaret is released on Disques Artic, In June the album will be released in Romania, Turkey (Sony) and South Korea. A live dvd Kabaret has been released (Universal 5317944) which includes the live version of the Eurovision song. As a bonus there is a videoclip of the slbum version of Et S'il Fallait Le Faire. In the coming months the Kabaret live show will be broadcasted on TV in Greece, Finland, Sweden and Taiwan. Patricia Kaas' current Kabaret tour included performances in Russia, Germany, Belgium, Netherlands, Latvia, Lithuania, Finland, Estonia and Poland. After Eurovision the tour continues in Moldova, Ukraine, Turkey, Bulgaria, Romania and Luxembourg. 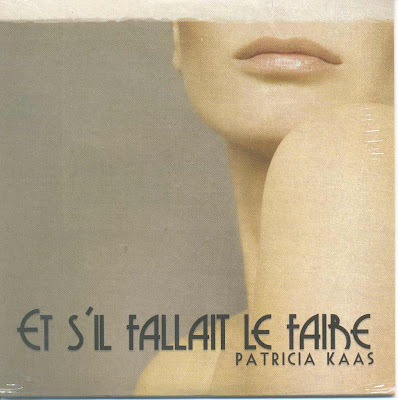 Patricia Kaas at BeaRecords, now has also has the cdsingle in stock.